1. How to place order ? Please refer here for Purchase Guide. 2. Do I need to send my prescription to make purchase from your website? circle lenses before making purchase at www.ifairycon.com. 3. My eye vision is perfect. May I know what is my prescription to make purchase? If you have Perfect vision you can select power -0.00 degree as the option. 4. Can i amend my order? 5. Can i exchange or refund my order? a.) Select the CURRENCY as SINGAPOREAN DOLLARS, which you can find in the top right corner of the webpage. b.) Then once you are done ordering, you CHECKOUT and under the payment option there will be an option POSB Savings account. Select the POSB Savings account option and you can go to POSB/DBS website to complete payment. c.) Paste the transaction or REFFERENCE CODE in the payment reference box to complete the purchase. If you wish to make payment through Western Union it can be made through special arrangement. Additional changes may be applied under special circumstances. 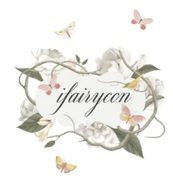 Contact ifairycon@gmail.com for assistance and should you need more information. 1. How to put in contact lens? 2. Do your lenses comes in prescription? Yes! All of them are available with prescription. If you are normal eyesight or you need decorated effect, choose -0.00. Consult with eyesight doctor to confirm the diopter counts before order. 3. Why is the actual color different from the website? 5. What to do when my lenses irritate my eyes? Yes, we do ship to any country in the world. 2. What shipping method do you offer? We offer Standard Registered Airmail and Express Shipping (Fedex). Both shipping methods comes with tracking number. ** I.Fairycon do not hold any responsibilities for any loses or delay during delivery. 3. Will I get taxed or any handling charges? There is no handling charge. Taxes and duty depends on your country import policy. Normally you will not get taxed unless purchase in bulk quantity. Please check with your postal service regarding customs fees you may incur. Possibility to get taxed is higher by choosing Express Shipping. Store.ifairycon.com do not hold any responsibilities for any taxies or duties incurred. 4. How long it takes to reach me? Total delivery time should included processing date. For example, product A is stated to be dispatched within 2-4 days and delivery days for Australia is about 10 days, total days taken for arrival of parcel is 12-14 days. **PLEASE CHOOSE FEDEX SHIPMENT IF YOU NEED YOUR ORDER URGENTLY, WE HOLD NO RESPONSIBILITY FOR DELAY CAUSED BY THE SHIPPING COMPANY. Canada: 20 to 45 business days. Delivery time is based on estimation only. All transit times are subject to Customs Clearance, transport conditions(e.g. boat traffic in certain areas) and volume of mail traffic. After 2-3 weeks of not receiving your parcel, you (receipient) need to contact your local post office to check the whereabout of the parcel.If there is no still no status please contact us ifairycon@gmail.com. 5. Do you provide tracking number? Yes, we provide tracking number on both Standard and Express shipping after we shipped out your order. We will email you the tracking number or you may login your account to check after 3-5 days order placed. Please note that sometimes even though we dispatched your order, tracking number might be updated late. So your order might been shipped out although you have not received tracking number from us. 7. How do I track the number given? For Express Shipping, please track in Fedex website. 8. It has been more than estimated delivery time. Why has not the parcel reach me yet? Please check with your local post/courier by tracking number given before contacting us for your parcel status. 10. Which are the countries that do not have Fedex Delivery(EMS)? I.FairyCon decided not to provide Fedex shipping to Mexico and South American countrys due to strict and rigid custom rules and regulation. Other alternative for these countrys would be Internation Registered Mail. Your understanding is greatly appreciated. ***Please be noted that International shipments may be subjected to import taxes, duties, broker charges and customs fees, which are levied once your package reaches the country of destination, and are the responsibility of the recipient.